Hello, it's that time again...Release Week! For those of you that are new to Wplus9, we will spend the next couple of days getting up close and personal with the products that we will be releasing this month. All previewed items will be available for purchase on February 5th at www.wplus9.com. We have a feminine, floral, fun release for you this month. 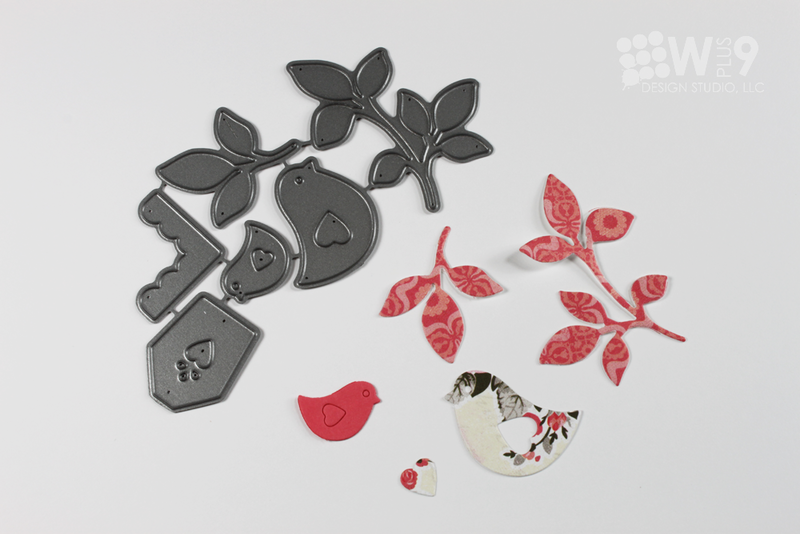 We will be introducing 3 new stamp sets and 4 new dies over the next couple of days. The theme this month is centered around Folk Art. But don't worry, as usual, I've just pulled from the traditional Folk Art design for inspiration, and created a more versatile and stylized version of my own. All of these products will take you far beyond any single style as I plan to show you. So let's get started with Folk Art Florals and the Folk Art Florals Die. My first card captures the namesake of this stamp set. 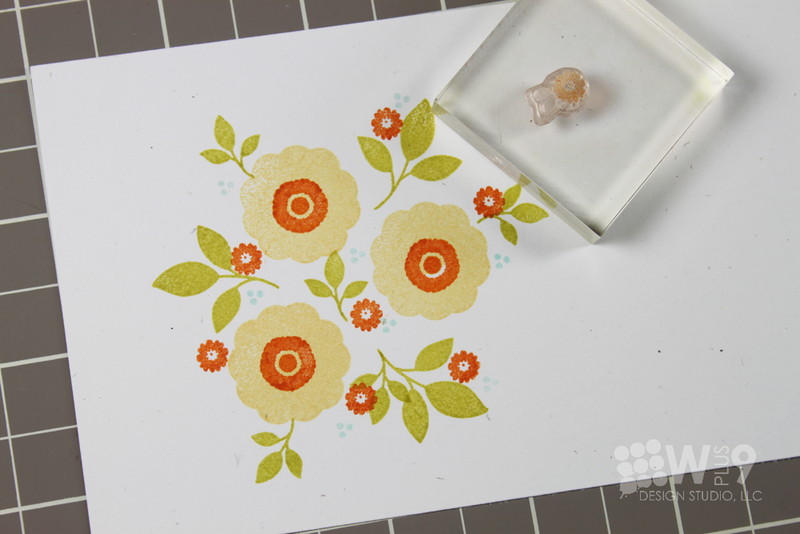 I wanted to show you how easy it is to create some of those more intricate looking folk art patterns thanks to all of the great individual images in Folk Art Florals. I started by stamping the birdhouse image onto rustic white cardstock and flanked it at the top and bottom with the leaf branches included in the set. I then added a small flower to the gap between the branches and another flower to the top. I repeated each at the bottom to mirror the top. You could stop here and this fits perfectly inside of our Label Layers 3 Die, but I decided to keep building. I added the little flower cluster to each corner and to the left and right of the birdhouse. The "Friend" sentiment finishes this card off. For my next card, I wanted to try a little shabby chic. The Folk Art Florals Die is perfect for this. I cut the birds and leaves from a couple of different patterned papers and paired them with our Hearts & Clouds Die and Love Notes Die. I created a sweet little focal point to set on top of our Circle Stackers 1 die (more on that later this week) and a lace doily. I channeled my mom for this one, as she loves the shabby chic style, and thought the large bird and little bird would be a perfect representation of parent and child for a Mother's Day card. I just love how this tag turned out. 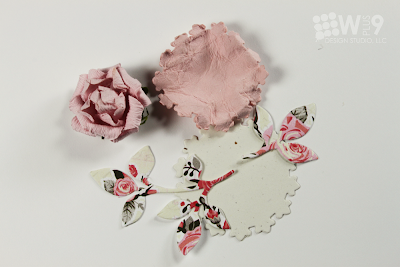 I wanted to show you how I used our new dies to enhance a pre-made paper flower from Kaisercraft. 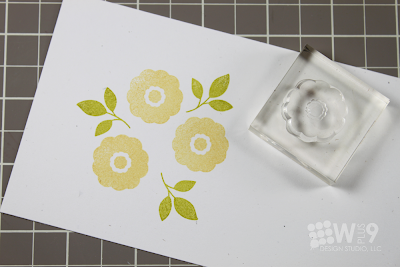 I nestled the flower inside of a couple of dies from Circle Stackers 1 and I used more of the leaves from the Folk Art Florals die. A Mother's Day ensemble perfect for my mom. Folk Art Florals includes a variety of sizes and flower shapes, making it easy to create both focal images and backgrounds patterns. There is just enough character in each image to make it unique, but not so much that they become locked into one style or theme. So, let's take it clean and simple now. 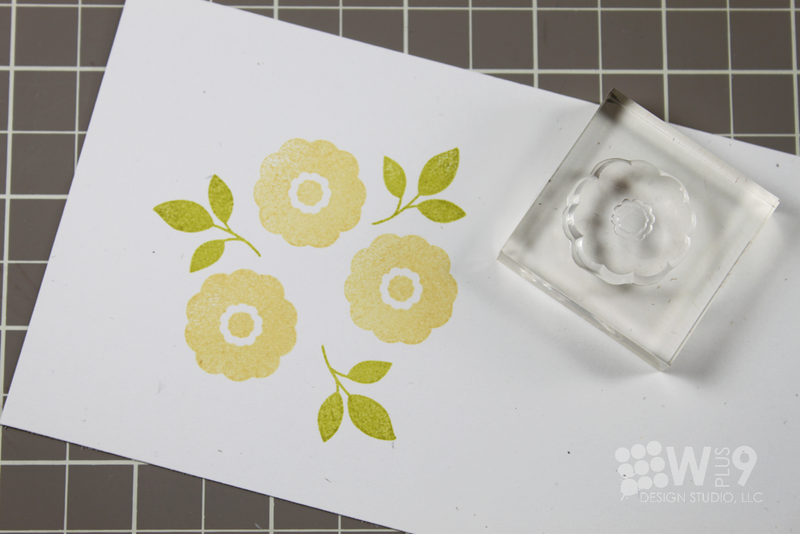 I started this one by stamping one of the largest flower images and leaves. I then added one of the smaller flowers to the middle of the largest flower and filled in with some of the smaller leaves. 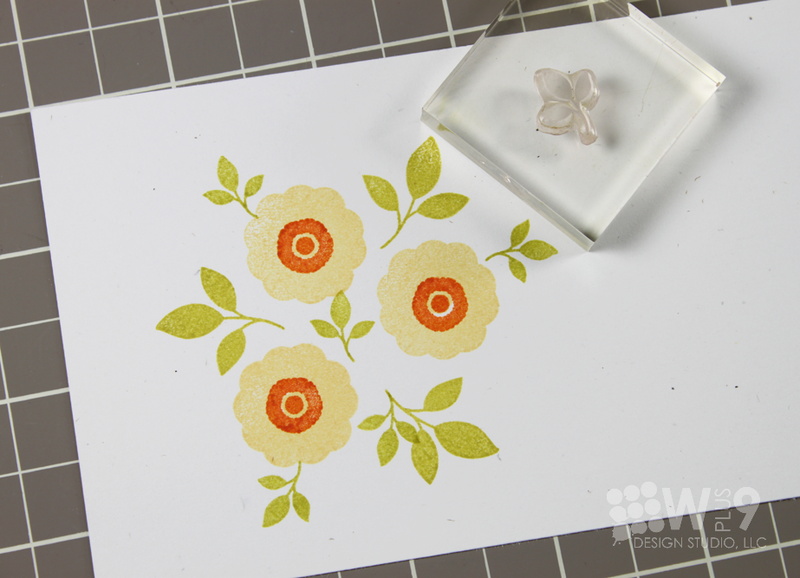 Last I added one of the smallest flower images, selectively inking just the flower. Using the corner of a ink cube makes this really easy. I added my sentiment from Hope Seed Co. and added a double line of scoring at the bottom for texture to finish this card off. For the final card today, I wanted to show you some of that background stamping I was talking about. 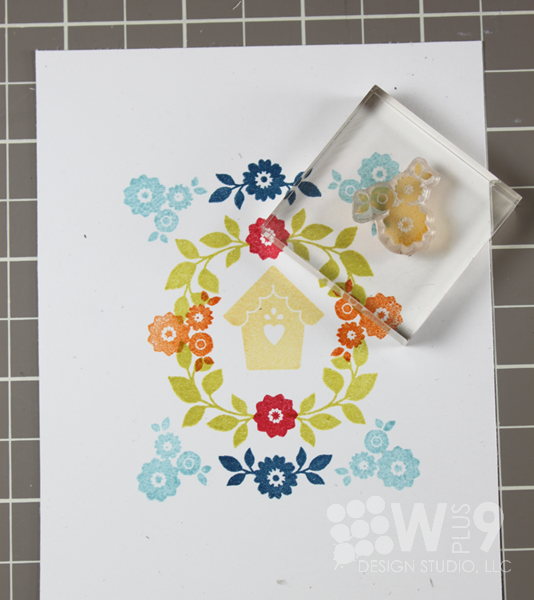 I used many of the flowers and leaves to create a petite floral pattern as a backdrop for the birdhouse die cut. Are you ready to see more from this set? The possibilities are really endless. Be sure to stop by the Design Team's blogs to see what they have done. Would you like to win Folk Art Florals, and the Folk Art Florals Die? Just leave me a comment by 9:00 AM EST February 2nd to enter. I will select one random winner from all comments. Winners will be posted here. 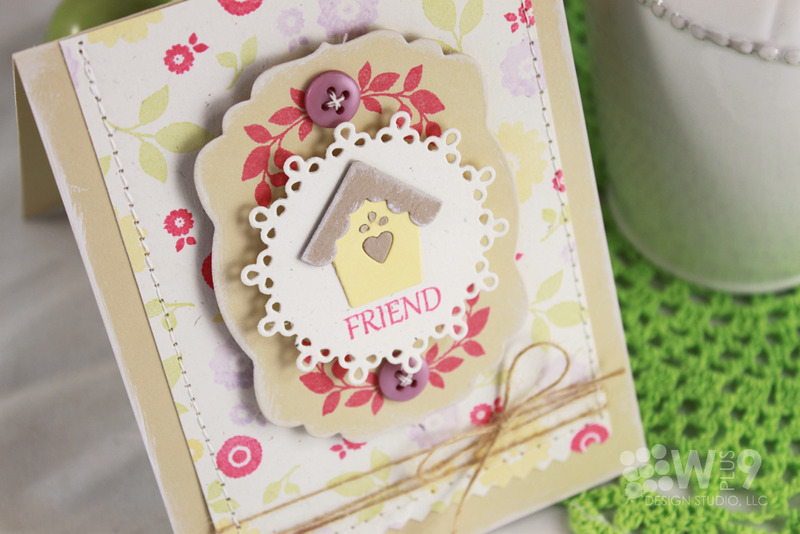 The fun continues tomorrow with another must-see set and 2 coordinating dies, see you then! AMAZING cards! 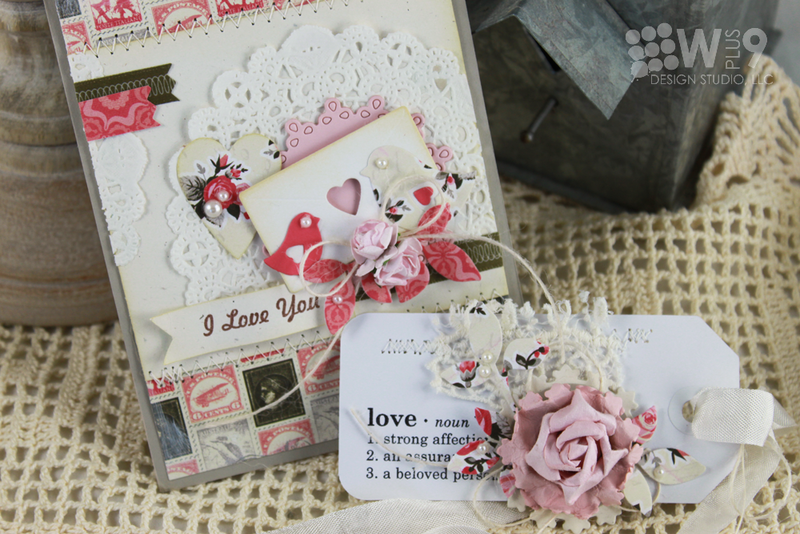 So beautiful and sweet - such WONDERFUL new stamps and dies. LOVE, LOVE, LOVE them! Hi Dawn!!! I have been ANXIOUSLY awaiting your new release and you did NOT disappoint! Your work is truly amazing and soooo creative! I can't wait to see more of this release.....Your DT did a great job with Day 1!! I am a new fan - can't wait to see more!! Love this new release - so many possibilities and styles to experiment with. Thank you for the chance to win some of these. Your cards are so pretty! Gorgeous! Love that bird and those flowers! Thanks for the chance to win! These designs are beautiful! Looking forward to this months release. Wow..... some really amazing samples! I love the coordinating die! Can't wait 'til the 5th! wow i just love the cards featured. Definitely a great stamp set to have. You had me with folk art! Love all your samples. What beautiful and fun creations!! I am in love with the Folkart Florals.... the best set I have seen this year!! Enjoyed all the teams examples and looking forward to the rest of release week!!! I love all the layered stamping. The set and dies are gorgeous! I'm so excited to see what you have in store for this release. So far I love everything!! I love to build backgrouns so this set is perfect for me! I am new to your blog & company. Impressive! Love your cards, and this stamp set is awesome. Omg these are all so gorgeous!!!! beautiful stamps!!!! Yay! is release time again. I enjoy coming here and enjoy seeing your creations. LOVE the new dies. Wow, Dawn, each and every release gets better and better. This set looks like so much fun to work with colors and arrangements. Great samples today too! What a fun set for creating so many different styles! I love how versatile it is--a must for me on a limited budget. 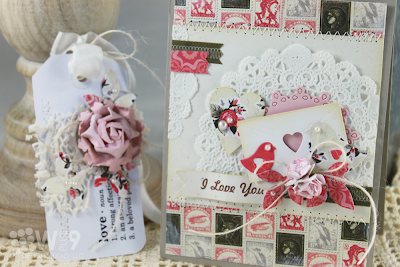 Gorgeous samples today, especially that amazing shabby chic card and tag! 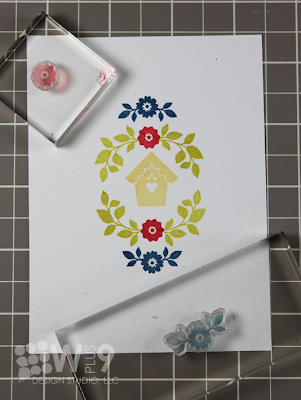 Gorgeous stamps, and such versatility. This would be a wonderful set to have. Can't wait!! Such a fantastic Stamp set Dawn, as well as your gorgeous samples! Dawn, the cards you shared today are such beautiful examples of these sets. I really feel like I don't have the words to express how in love I am with what you created and the stamps you designed. I am certainly looking forward to seeing what else you have for us this month, but I already know I will be at the front of the line on release day! Gorgeous Cards LOVe to see more! There are just so many possibilities for these - love them! WOW! This is an impressive stamp set! These are also beautiful cards you've shared with us today! I am really pleased to see you have accompanying dies too! The stamps and dies are a must have after seeing what you have created with them...love it!! describing the flok art pattern. What a fabulous new release, love how varied the DT cards are too. These are wonderful, they have a very Scandinavian feel to them....my husband's family on his Mom's side is from Sweden, so this would be a perfect set to use for cards for them. These are absolutely beautiful samples, Dawn! 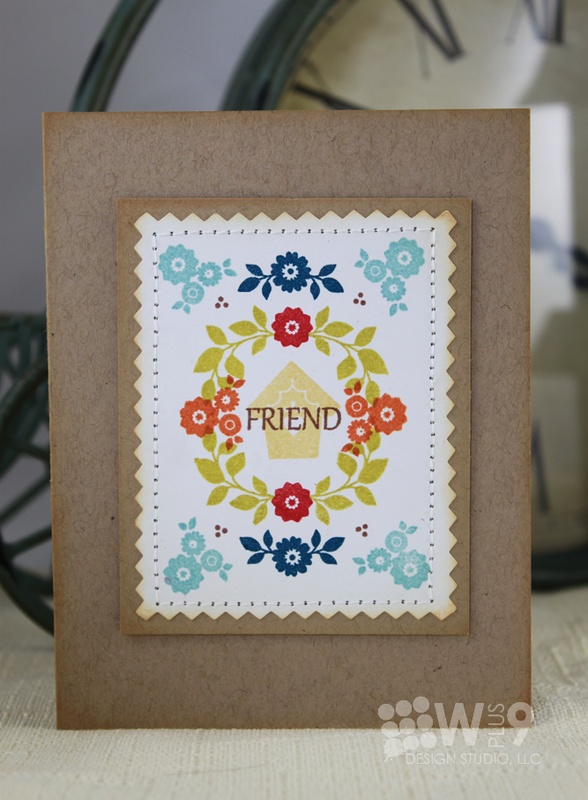 Gorgeous colors, elements, and stamping! Such sweet stamps! 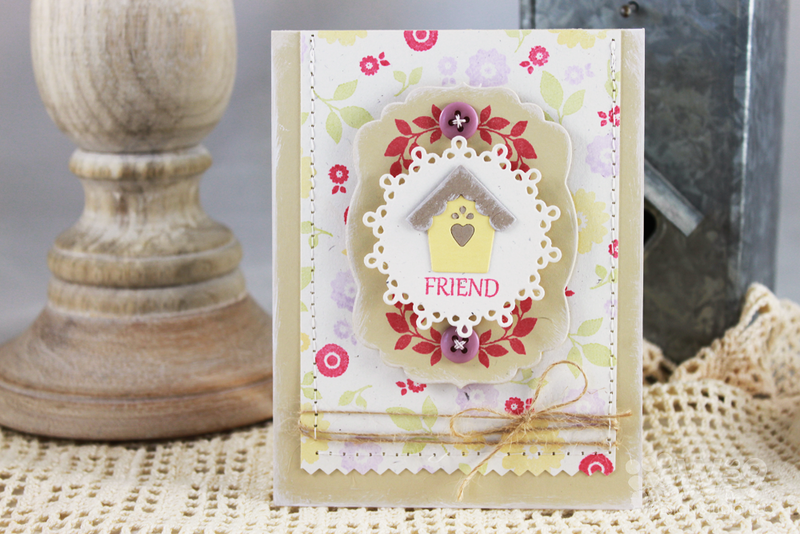 I send more cards to my crafty friends than anything else, so when I saw that sweet birdhouse and the sentiment "friend" with it, I could picture all the sweet cards I could send using those images alone. Great peek today, love all those great folksy flowers too. OMG girl!!! these are amazing sets!! love the dies!! Oh, such a great set. It has the same feel as Fair Isle background for me... Love it and it is allready on my wish list! Oh these are amazing! Love the stamps and dies. I love to send just because friendship cards. These are a must have for sure! Lovely set and dies that is awesome for building a focal image, framing a focal image or backgrounds. 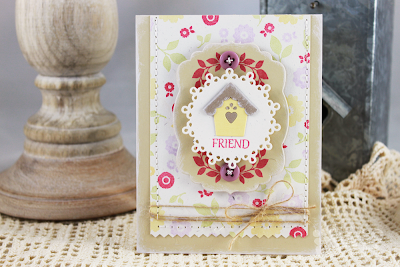 Love your projects showcasing these new stamps and dies. such a sweet set. 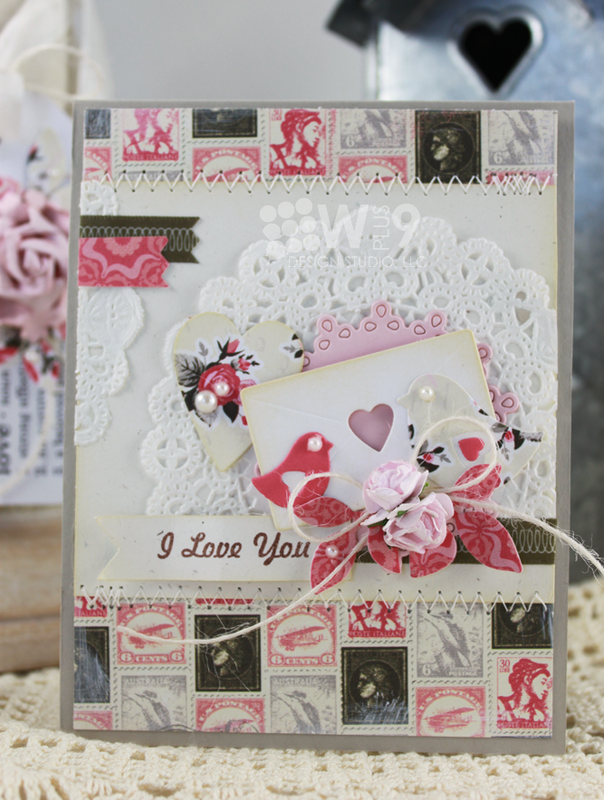 love your cards showcasing the new stamps and dies. I love everything you used to make these amazing cards. Fabulous release! Wow, I can tell already that this is going to be an amazing release. 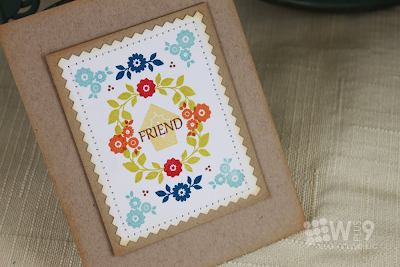 The Folk Art stamp set looks so versatile. Looking forward to learning more about the Circle Stackers too! Love the stamps AND the dies! Such a wonderfully versatile set:) Looking forward to the 5th! These are all fabulous, Dawn! Totally loving the cute card & tag set...they're my fave!! What a great stamp and die set! Very versatile, love them. 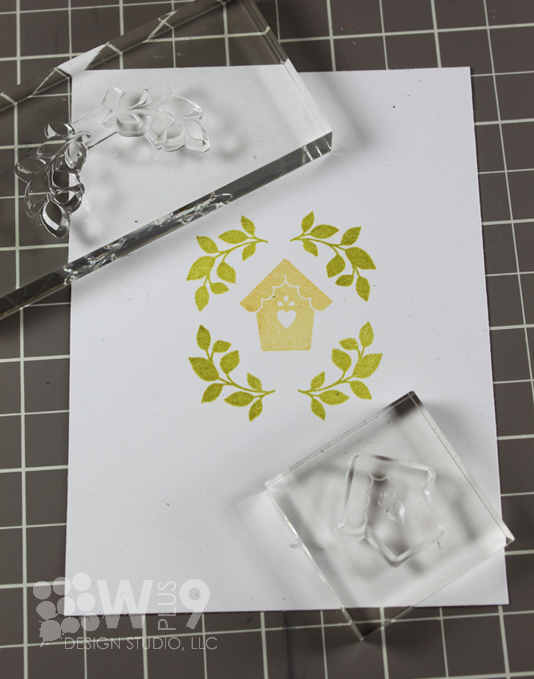 These stamps and dies look FANTASTIC, Dawn!!!! And your projects are totally GORGEOUS!!! Gorgeous, gorgeous, gorgeous! I love how you used the multiple stamps in the Folk Art Florals set to create such a beautiful composite! Completely smittened by this month's release!! You get better and better!!! 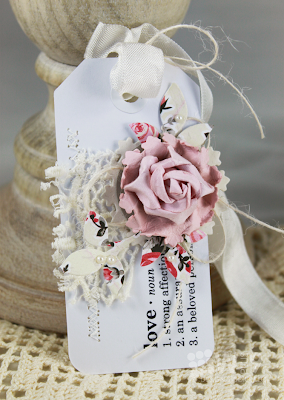 I LOVE your flower idea with the tag. SO clever!! I love the cards that you made with this lovely set! So many possibilities with these great images and dies. Thanks for a chance to win. Oh my! This set is SUPER cute! Can't wait to see more! This set looks great and I loved seeing all the creations! This is quite the set of stamps. Fantastic job on these images! Your cards are colorful and super cute! Thanks for sharing. Love release days! Your cards are stunning! Hard to choose a fave but love that you did the mutliple stamped flowers on the first with fun colors! But then the tip you shared of adding on to the flower with the die cut is really cool! Wow! Thank you for sharing these cards and tag! Just found your gorgeous stamps a few months ago and am rapidly becoming addicted. Love the matching dies! 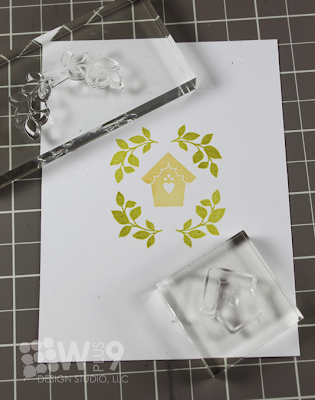 I love stamping my own backgrounds, but sometimes I have a great background idea and then get stuck on the focal point. Heh. Dawn, these are beautiful! I love the dies - that little bird is perfect to go with the floral stamps. 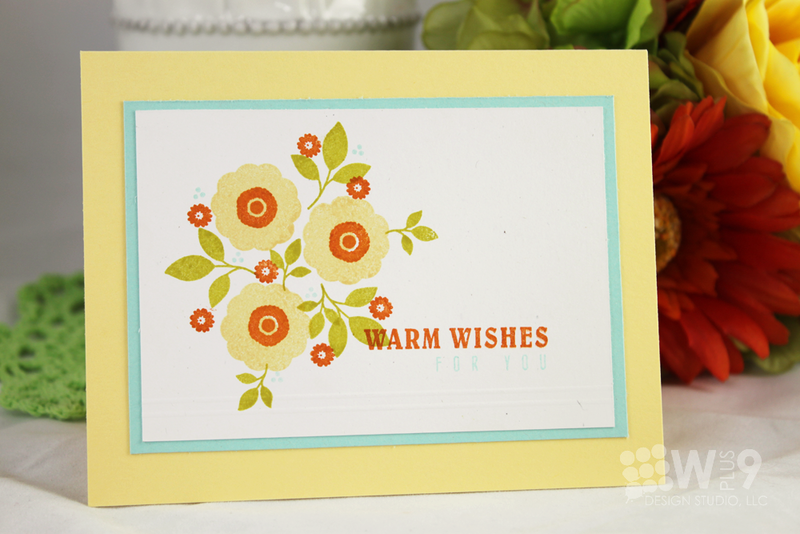 Great examples too, thanks for the pretty card tutorials. HOLY MOLY!! I am soooo excited to get my hands on new Wplus9...yay!! Today's previews are fabulous!! I'm excited for a new release. I have been enjoying my past purchases tremendously! OMGoodness, stunning flower images! I can't wait to see these sets! Holy MOLY! You certainly KNOW how to set a bar! YEOWZA! What a FANTASTIC release, Dawn! While these are ALL gorgeous...that Mother's Day ensemble is BEYOND stunning! WOW! Seriously, takes my breath away! Dawn, I know I am too late too win but I just want to say I love your blog. I have been looking at it all morning long... in between cards. 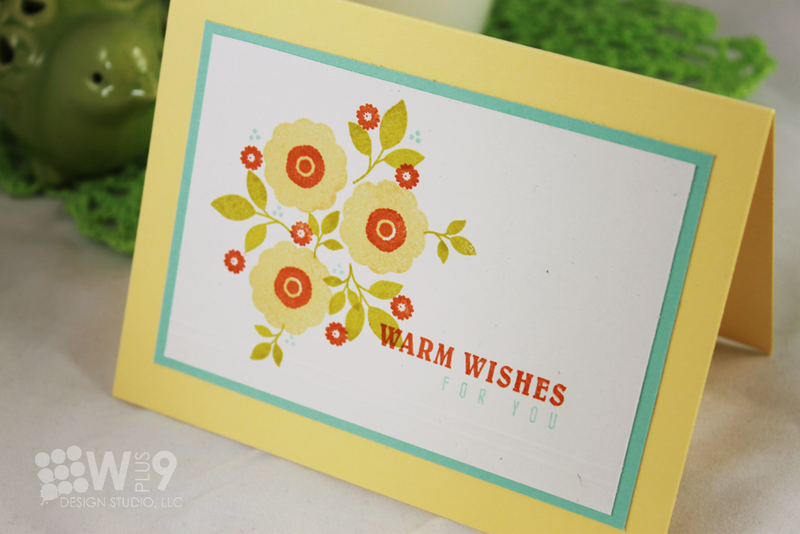 You make beautiful cards, and I love how you show the step by step examples. Wow wee! Sweet stuff!